Let’s face a simple fact: Bubbles make everything better. Whether you’re standing in the front of a restaurant waiting for a table, greeting guests for a dinner party, or enjoying a snow day at home, there are few situations that cannot be instantly improved with a glass of sparkling wine. But often the overindulgence on New Year's Eve can leave even the most stalwart fan desensitized to Champagne’s charms. 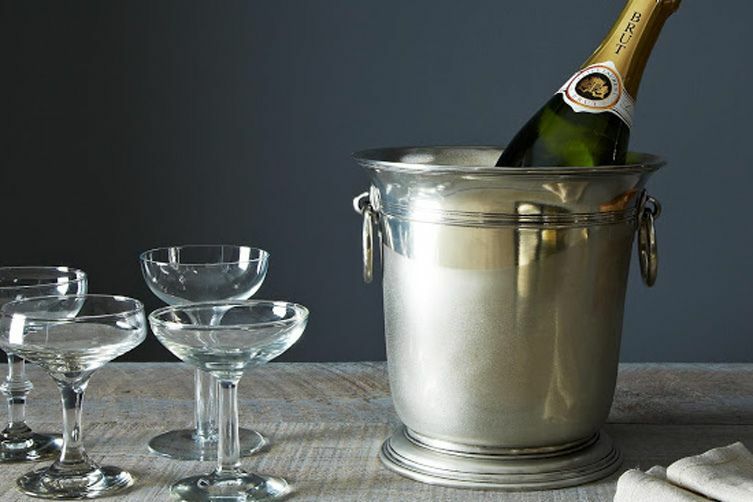 Here are a few ways to rekindle the romance—new year or no. This is the perennial classic, sidling up next to the Champagne cocktail and the Kir Royale. Named after the M1897 75mm French ordinance used during WWI, and described in The Savoy Cocktail Book as hitting with “remarkable precision,” after a few we think you’ll agree. The classic spirit used is gin, though a strong argument can be made for cognac or other French brandy, especially in the wintertime when you’re looking for something a little richer and rounder to flesh out your drinks. More: Another no-frills sparkling cocktail? This Nardini Spritz. As for ice or no ice, be your own judge. Many cocktail books will have you fill the glass with cracked ice, add the ingredients and top with Champagne—this will yield a bracingly cold and refreshing cooler-style cocktail, but one that will wash out quickly because of the rapidly melting cracked ice. I find that a quick, hard shake and strain of the simple syrup, gin, and lemon, and then a top-up with ice cold Champagne will yield a more elegant cocktail. This drink follows suit in basic layout, but switches lemon for lime, sugar for honey, and swaps in a funky rum for the gin. The cocktail first appeared in print almost 20 years after the French 75, but it was worth the wait: The genius juxtaposition of rum and honey with the tartness of lime results in a round, refreshing crowd-pleaser. For rum I like to use a punchy white rum like Banks 5 Island or El Dorado 3 year, though a nice aged Puerto Rican rum like Bacardi 8 will do no harm. Last but not least is the drink named after the Greek food of the gods—and the 50s fruit salad with mini marshmallows. This boozier beverage will escalate things quickly due to the relatively high proportions of base spirit (one of which is our beloved 100-proof applejack) and a dash of Cointreau. Citrus, orchard fruit, and vanilla compete for attention and leave you chasing sips down to the bottom of the glass. 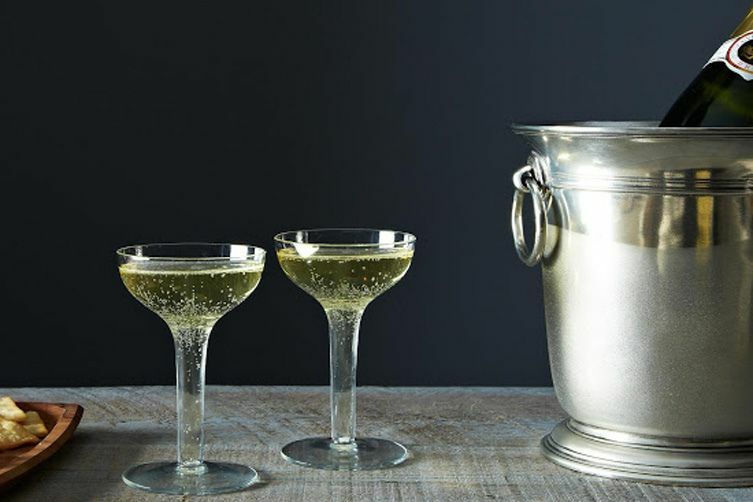 Since all of these drinks are being topped with sparkling wine, they should be shaken vigorously—sans bubbles—for only a short period of time, say 4 seconds. (They are lower in volume than most shaken drinks, so a few seconds should be more than enough to chill.) 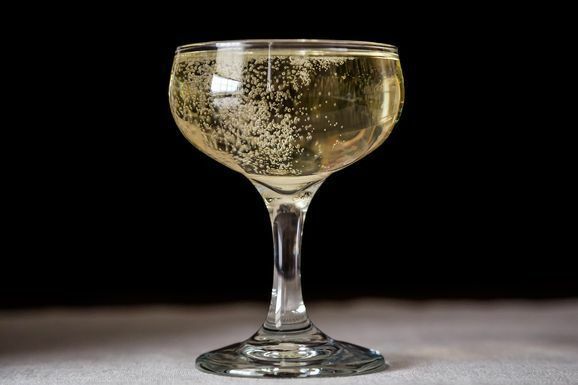 For the sparkling wine, look for something crisp and dry; avoid the big, toasty Champagnes and stick with something simple like a dry Prosecco or Cava. While you don’t want to break the bank, you also don’t want to take the time and effort to do everything correctly and then pour carbonated alcoholic grape soda over the top, so stick to something in the $10 to $16 price range. When he's not busy running the cocktail program at New York City's Maialino, Erik Lombardo is giving us the rundown on all things spirits—and showing us the best ways to drink them.